Reptiles, especially snakes, have interested me for as long as I can remember. It would have been really easy had I pursued science, attended herpetology camps, volunteered with reptile parks and met people in the field, which most kids have access to these days. That was not to be. Lack of exposure and guidance led me to follow the mainstream. But when my passion got the better of me, I dropped it all. I joined the Madras Crocodile Bank and soon realised my forte was King Cobra. 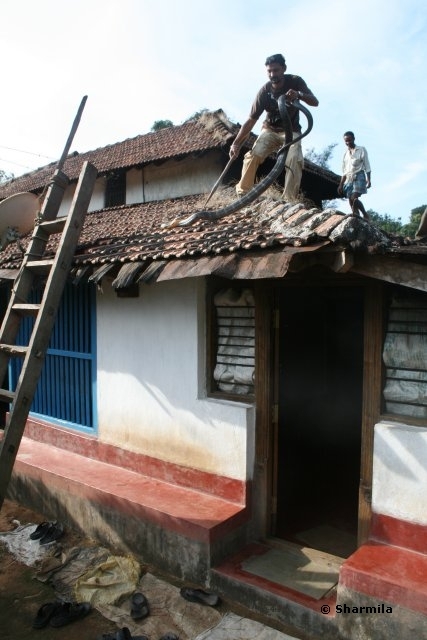 I worked on captive King Cobras there, and later worked on wild King Cobras at Agumbe. 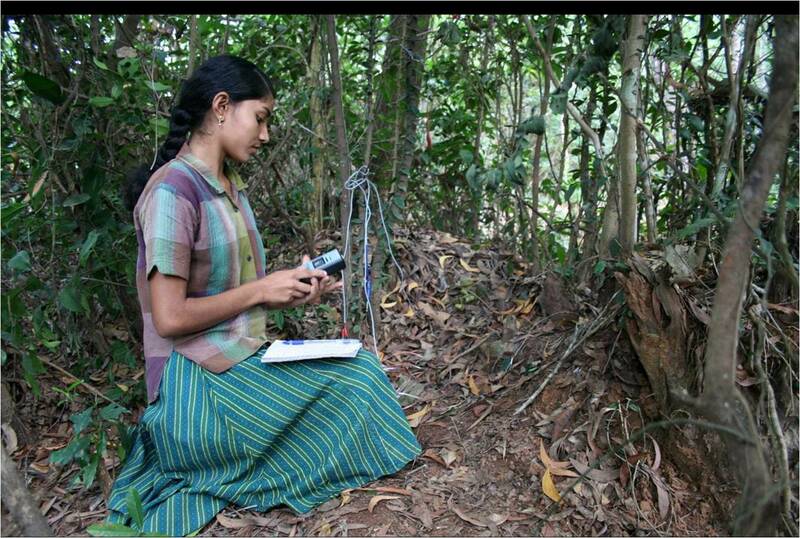 While at Agumbe, I opted for a correspondence course in MSc Ecology, field work always took priority. Under Rom Whitaker’s guidance I collected data on wild king cobra nests, hatchlings, king cobra rescues and breeding biology. 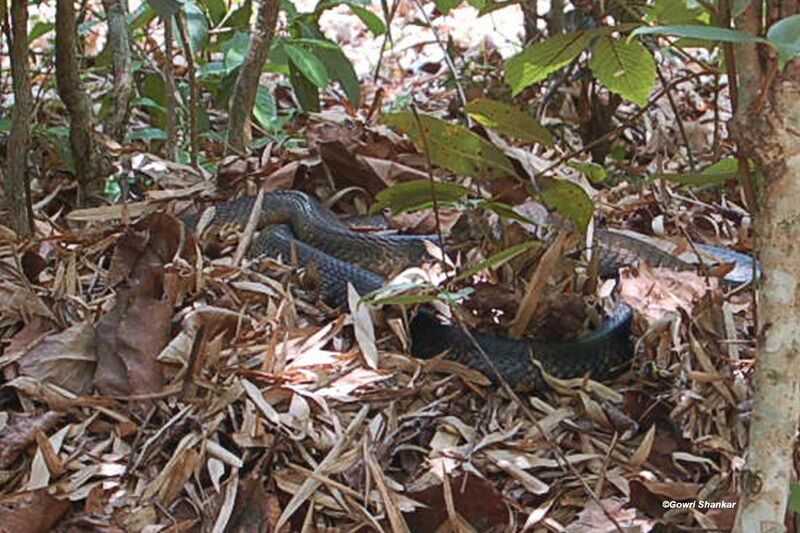 I teamed up for the pioneering king cobra radio telemetry project. While looking for options for my PhD I came to the Centre for Ecological Sciences (CES),Indian Institute of Science (IISc).The support and encouragement I receive here is incredible. I’ve enrolled as a visiting student under the guidance of Dr Kartik Shanker. He takes time to discuss, urges me to ramp up academically, offers lab space, and access to the library, and even allows me to attend regular classes. Faculty and fellow lab members are extremely supportive and even though I lack formal basics in ecology I’m able to catch up with their help. Admission to CES is through an all India common entrance test. Research initiatives underway at CES include animal behaviour, evolutionary and socio-biology, community and habitat ecology, molecular genetics and conservation biology, large mammal and forest ecology and climate change. 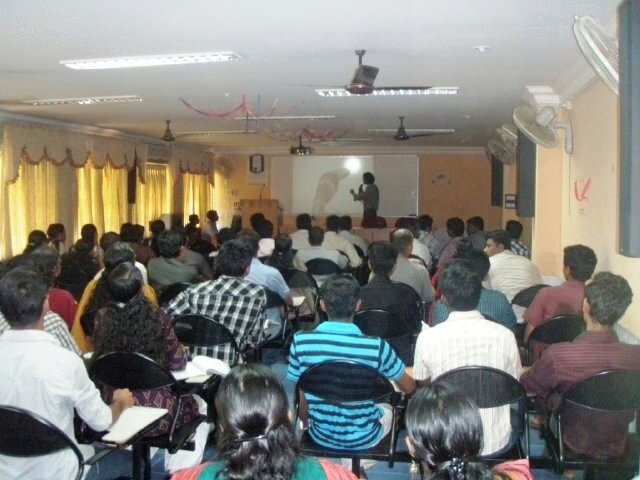 IISc also holds an open day every year where all departments open to the public to share their work offering an opportunity to interact and network. Their library is open to students all through the year for references. My journey so far has been anything but conventional. But I have progressed. Today I have several scientific papers to my credit,been part of wildlife films for the National Geographic and Discovery Channels, completed my MSc and now have enrolled as a PhD candidate at North Orissa University under Dr S K Dutta. It still feels like I have just begun. 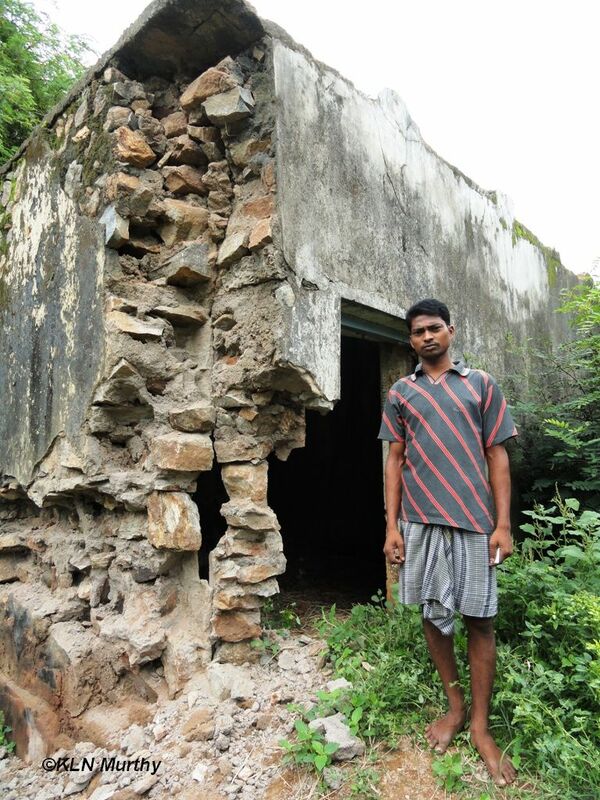 Gowri, along with his wife Sharmila have started an environmental education camp site, Kālinga Centre for Rainforest Ecology at Agumbe, where their focus is to open doors of opportunity to people from varied backgrounds to learn scientific tools of conservation through workshops and camps. It may be offensive to people if they were named or nicknamed after their eating habits, but that is precisely how our mighty king cobra got its name. King Cobra – Ophiophagus hannah. Ophio means snake and phagus means eating. King cobras are primarily snake eaters but occasionally feed on monitor lizards. During monsoon malabar pit vipers and hump nosed pit vipers appear in these forests. It is during this time that king cobras mostly feed on them. Rat snakes(Ptyas mucosa), Common cobras(Naja naja) and Pythons (Python molurus) are among their well known prey. But the king cobra radio telemetry study in Agumbe made a remarkable discovery where king cobras were observed to be feeding on Malabar pit vipers(Trimeresurus malabaricus) and Humpnosed pit vipers(Hypnale hypnale).Prior to this it was hard to reckon that a 12 feet king cobra would care to expend energy to hunt a 3 feet pit viper for a meal! 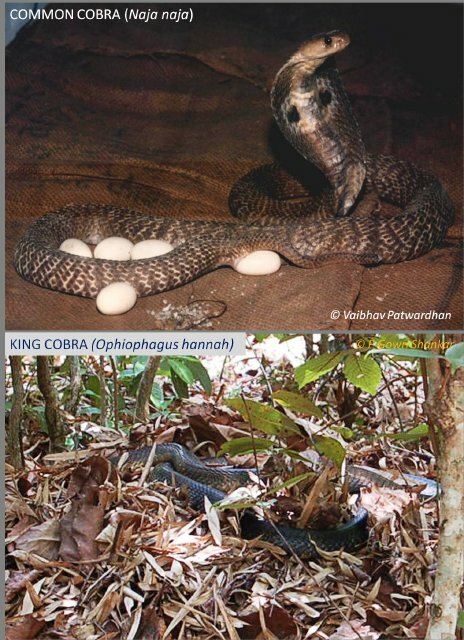 This article “Observations on a Wild King Cobra (Ophiophagus hannah), with Emphasis on Foraging and Diet: Dhiraj Bhaisare, Vipul Ramanuj, P.Gowri Shankar, M.Vittala, Matt Goode, and Rom Whitaker” published in IRCF Reptiles & Amphibians • Vol 17, wild king cobra No 2 • JUN 2010 discusses this in detail. Download paper. of skin that happen approx. 7-8 times a year), king cobras do not feed for days during breeding season, a gravid female king cobra may eat only after building her nest, laying eggs and securing it (which might take more than a month), during monsoons the king cobra may feed more than thrice a week depending on the size of the prey. Only detailed studies can present any pattern or offer definitive explanations. 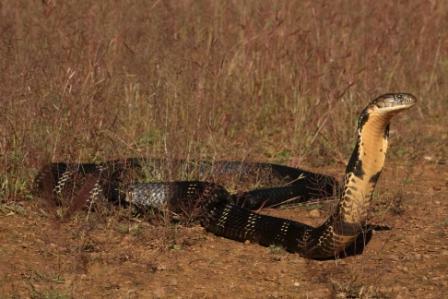 Watching a king cobra hunt and devour its prey is awe-inspiring and warrants attention. Rat snakes are among the most hunted prey by king cobras. They even chase after them up and across canopies! King cobras rarely hunt in ambush. Instead they stalk their prey, chase after them in hot pursuit and then grab them close to neck (sometimes mid body too). But their strategies may vary while hunting a venomous snake, e.g. Cobra(Naja naja) where they will avoid being bitten back. Captive breeders also mention about them avoiding long fanged snakes like the Russell’s viper (Daboia russelii). 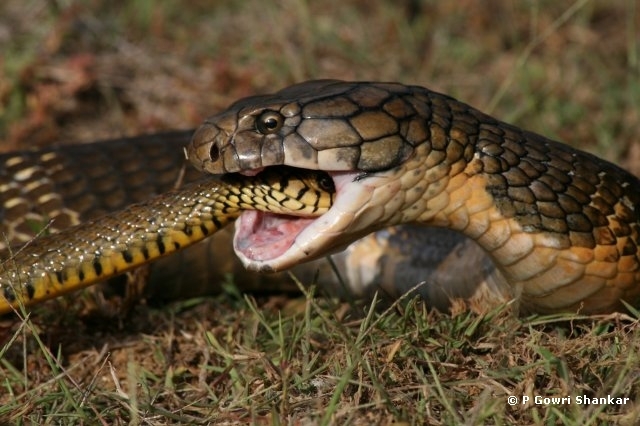 Once captured no prey is match to a king cobras size, strength or the quantity of venom. However powerful the struggle may be, in most cases it is the king cobra that triumphs. It then starts jaw-walking i.e. starts moving its jaws in a chewing motion towards the head of the prey without loosening its grip and then swallows head down. The below video explains the feeding behaviour. 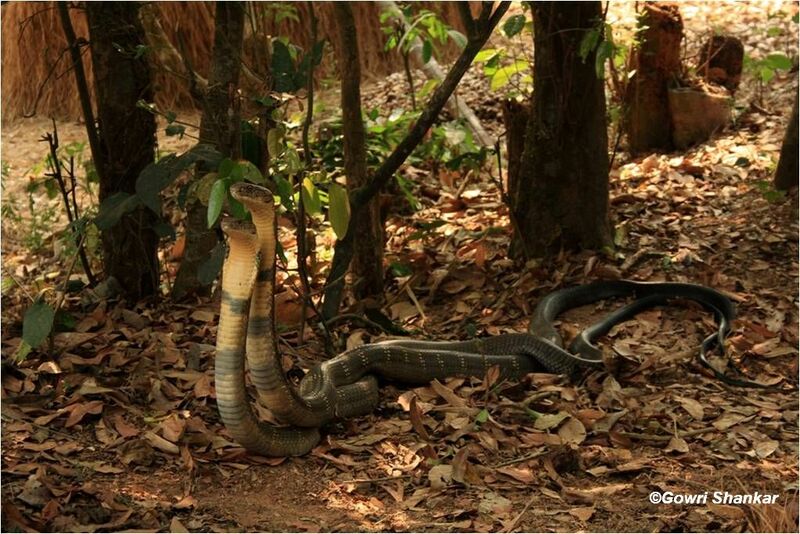 It is an excerpt from the film ‘Secrets of King cobra’ by the National Geographic Channel (NGC). 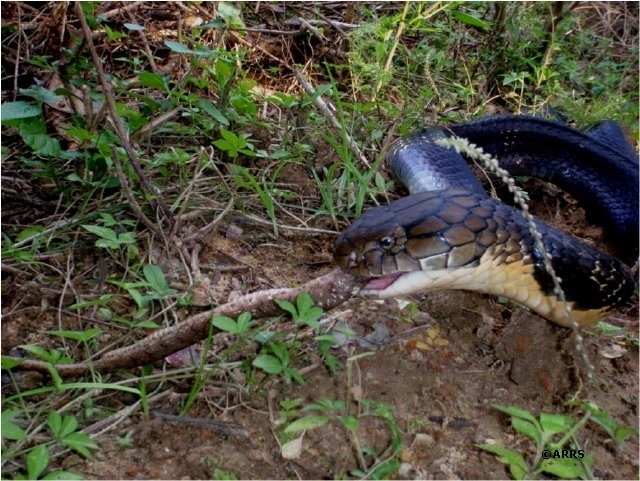 Hunting and feeding are among the top reasons for human – king cobra conflict. Humans attract rats (due to improper methods of waste disposal, lack of effective storage of food etc. 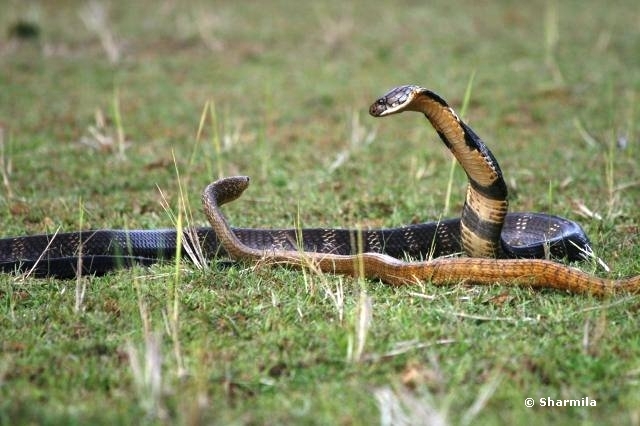 ), rats attract snakes and snakes in turn attract king cobras. King cobras end up in peoples bedrooms, roof tops, backyards, trees, bathrooms, wells, store house, cow sheds and kitchen, either chasing after their prey or while resting after a meal. 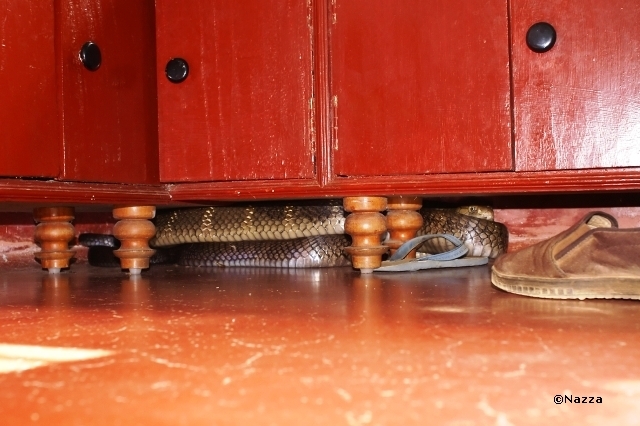 King cobra under a shoe rack. The owners thanked their luck for spotting the snake much before they slid their feet into those flip-flops. 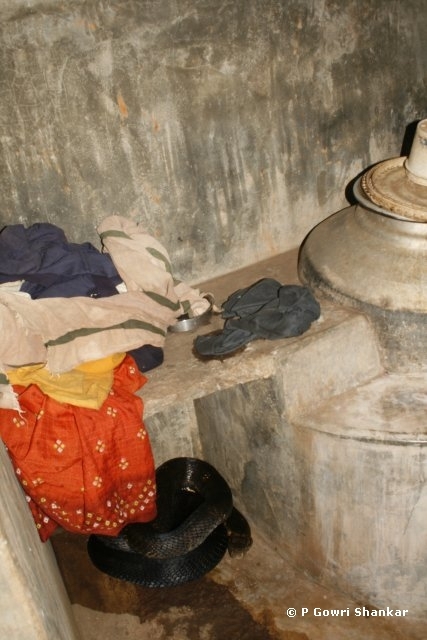 King cobras often seek refuge next to water heaters (‘Hande’) in bathrooms during monsoon. The warmth gives the much needed energy during those cold months. When I get such a rescue call it is a true test of my skills. This means the rescue has to be done really quick, with precision and minimal stress; else it may regurgitate its meal (a method of escape adopted by many reptiles). 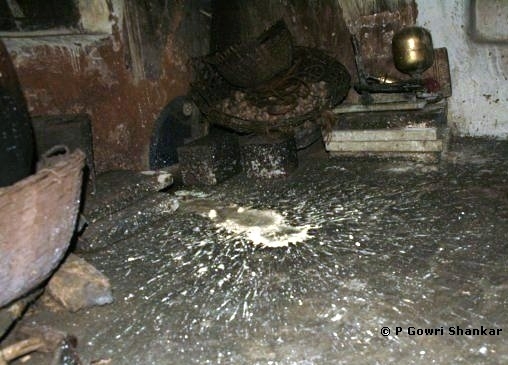 The king cobra in the below image had taken refuge after a meal for more than four days in the attic and was not noticed until it defecated. 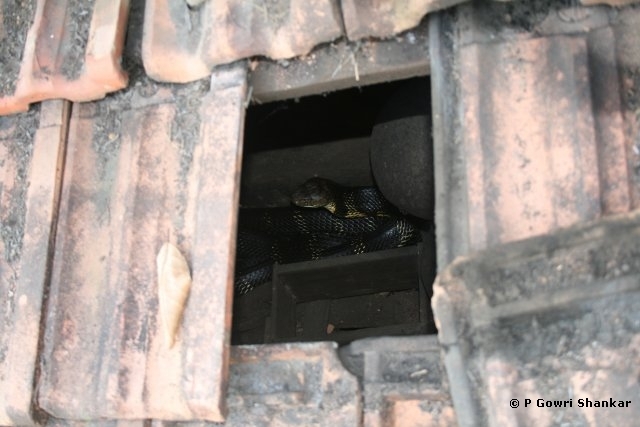 King cobra resting in the attic after a meal. Balancing on weathered tiles that could break any time, ensuring a firm grip, maintaining sane distance and making sure the king cobra is least stressed was quite a task. This rescue was not only a test to my rescuing skills but also my agility and acrobatic skills! Until recently it was believed that king cobras always ate freshly caught prey. 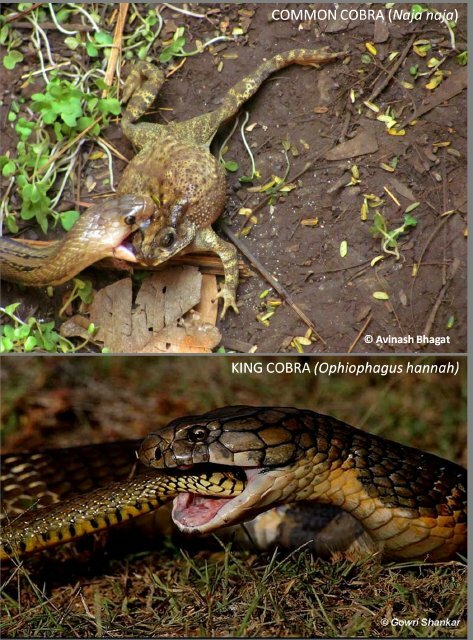 But this was proven wrong when I observed a king cobra eating the carcass of a road-killed rat snake. Though the king cobra retreated after being disturbed by traffic it came back the next day to finish its meal. 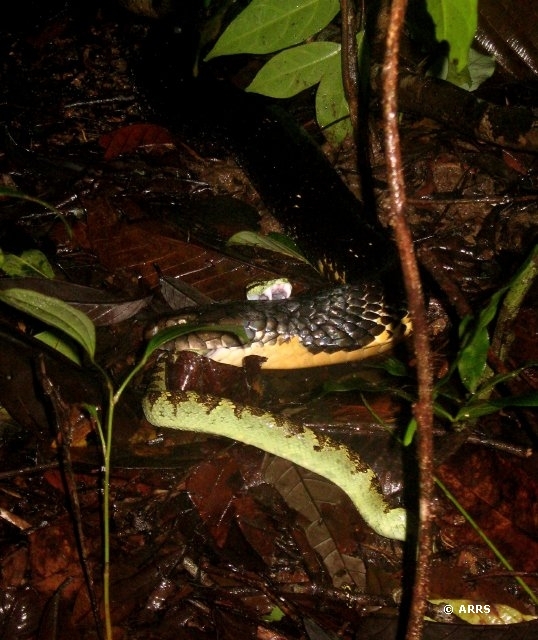 This behaviour was confirmed by the radio telemetry team who observed the radio tracked individual eating the carcass of a cat snake (Boiga sp.). It is only during the mating season that king cobras are spotted in close proximity to one another else they steer clear from each other’s path fearing being eaten up. I was called for a rescue call in a cow shed where a large male king cobra had bitten a smaller one and was engaged in probably the last fight. During the tussle a buffalo calf was bitten by the larger male. 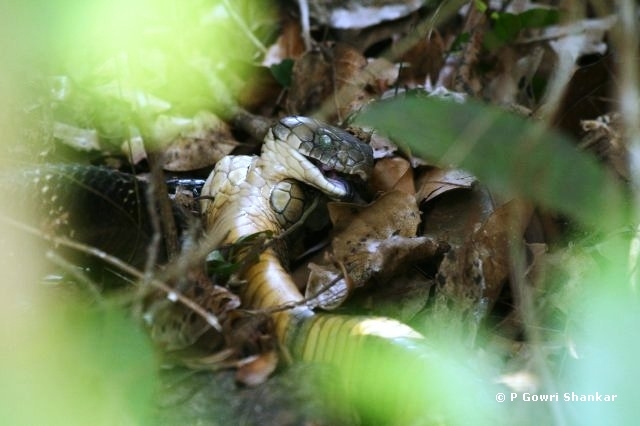 The smaller king cobra succumbed and was eaten by the larger male. We also observed cannibalistic behaviour in two mating pairs in 2008. In both cases the male killed the female, regurgitated and left the scene. The motive behind this killing is not clear but does not indicate feeding. Like most reptiles, king cobras start hunting as soon as they hatch. King cobra hatchlings are believed to survive on small snakes. 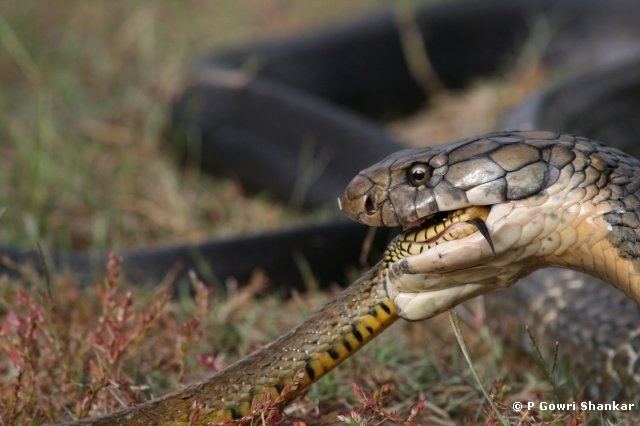 But very little is known about the feeding habits of juvenile king cobras in the wild. Studies are needed to uncover this facet of a king cobras life. The king cobra is the top predator among snakes and an apt indicator of the health of herpetofauna in its habitat. As a flag ship species its protection is imperative and most necessary today. King Cobras & Common Cobras…..We beg to differ! 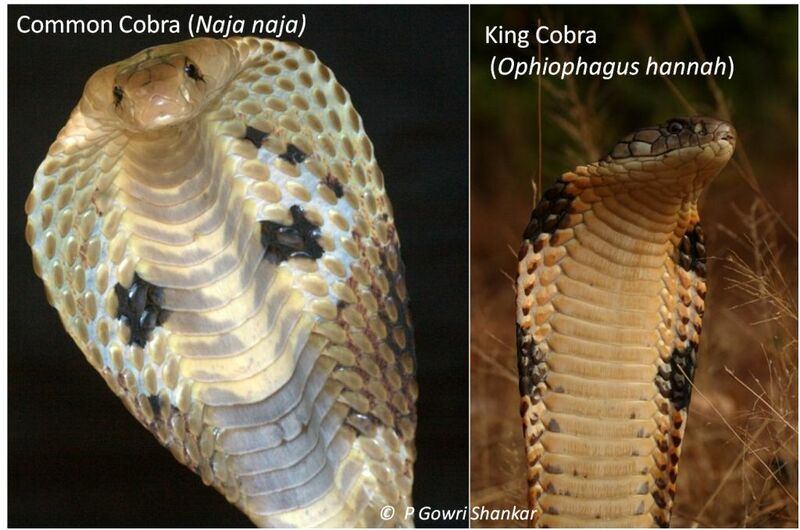 Many people cannot tell between a Common Cobra(Naja naja) from a King Cobra(Ophiophagus hannah). It may sound absurd to a few but from my experience the majority belong to the latter category. I have watched television anchors and news readers confidently make this mistake, newspapers whose editors care less to be corrected in spite of my efforts to explain and sadly the rest would rather believe these poorly researched mediums than a lamenting herpetologist! Hence this article to list the basic differences between the two snakes but does not delve into detailed taxonomic or behavioral differences. Common Cobra: Varies between light to dark shades of brown. Has a spectacle mark behind its hood. King Cobra: Shades of black, brown and olive green. 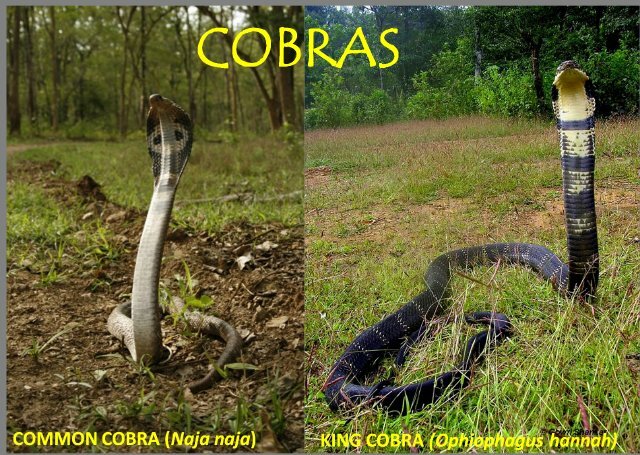 Common Cobra:Frogs, lizards, birds, snakes and small mammals like rats and hare. They are opportunistic and sometimes eat their own kind. King Cobra: Eat only other snakes. E.g. Rat snakes(Ptyas mucosa), cobras(Naja naja), malabar pit vipers(Trimeresurus malabaricus). They occasionally feed on monitor lizards. They are cannibalistic. 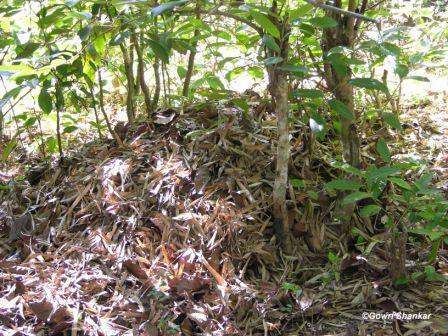 King Cobra: Builds a nest to lay eggs. Scales Cuneate scale is presentNo occipital scales Occipital scales are presentNo cuneate scale. Food Frogs, lizards, birds, snakes and small mammals like rats and hare. They are opportunistic sometimes eating their own kind. Eat only other snakes. E.g. Rat snakes(Ptyas mucosa), cobras(Naja naja), malabar pit vipers(Trimeresurus malabaricus). They occasionally feed on monitor lizards.They are cannibalistic. Feel free to share your thoughts and more differences which you think might help people in understanding these snakes better. Interesting piece of news. It is not very common that serious action like this has ever been taken for killing a King Cobra. Way back in 2002, it was my good friend (Late. )Raju who sparked my interest to explore the Eastern Ghats for King Cobras. But this idea lay dormant till I met a few volunteers from KANS (Kenneth Anderson Nature Society: http://www.kans.org.in) who introduced me to Mr.Ramanamurthy, Director, Green Mercy. Green Mercy is an NGO at Srikakulum District that has been rescuing and rehabilitating domestic and wild animals for over 15 years now. 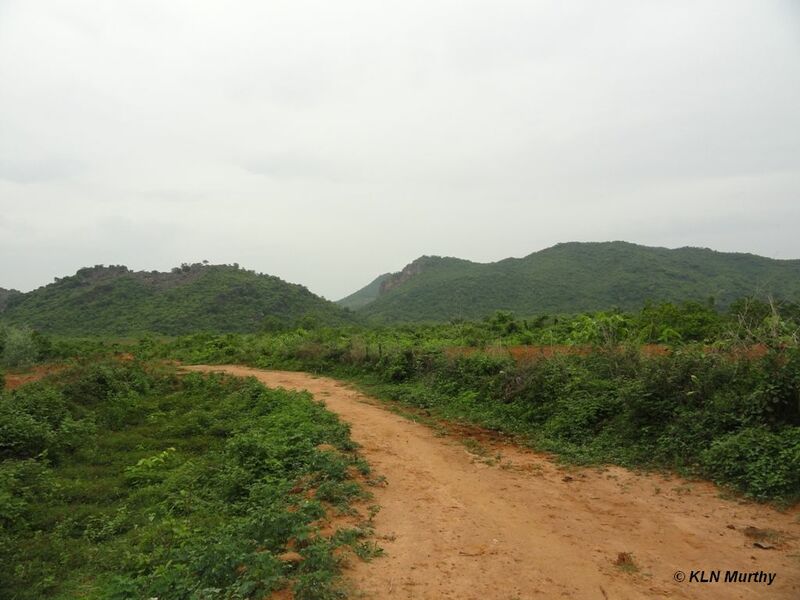 That is how my trail led me to Vizianagaram, Andhra Pradesh this time. King cobras hold a special charm and have lured me as far as I can remember but to say Andhra Pradesh has probably charmed me much before is not an exaggeration. As a child I spent my summer holidays here and hold many pleasurable memories that I cherish. One such memory is of my uncles narrating descriptive stories of how tribals secretly lived in the mountains and descended once in a while to shop. This created a sense of mystery which I was so eager to solve. I was finally here with the same mystical and adventuristic feeling to exclusively look for king cobras and maybe encounter the tribes too. 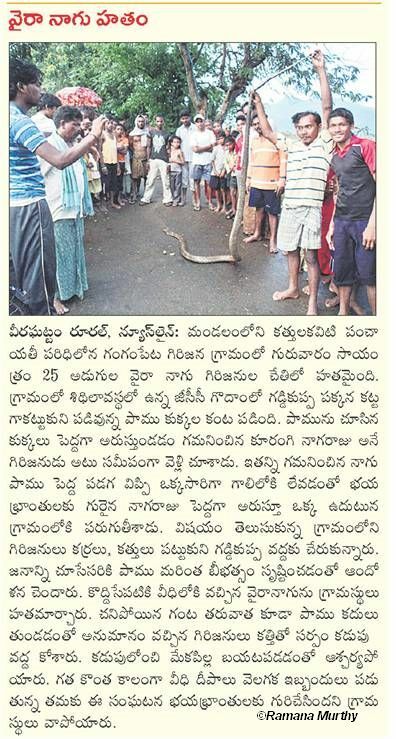 Between 2009 and 2011 three king cobras were reportedly killed in Srikakulam District. My plan was to visit these places to check the habitat, meet witnesses, understand people’s perception and fathom the gravity of the situation. We zeroed in on Seethampeta and Gangammapeta, where the kings were killed earlier. These villages are part of the Eastern Ghats that stretch up to Orissa. The terrain is a mixture of mountains and plains. First, we visited Gangammapeta where a king was killed just months ago in April 2011. 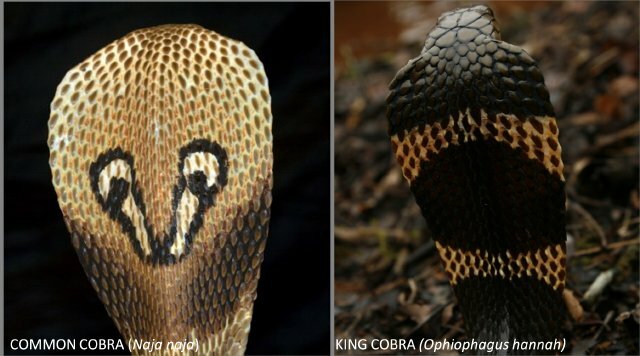 Another king cobra was reportedly killed in 2009 at the same place. I was eager to get first hand information and waited to speak to people who were involved in the act. This meant I needed to win their confidence. My knowledge of the local language and mentioning about my family’s association (My mom’s village is just 8km from here) with the place did the trick. People readily opened up and narrated the story quite enthusiastically. I was told that the snake was spotted moving along a fence and then moved into a building used to store firewood and had coiled up. 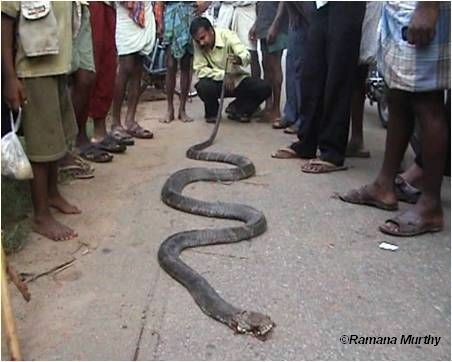 A huge snake such as this certainly attracts attention and within minutes the whole village had gathered to watch it. The king cobra obviously panicked and moved out of the building and that was when this 12 footer was killed with a stick and later burnt. A sad story for me but a heroic one for many there! However I was happy that they agreed not to kill the next time they see one and instead call for rescue. Our next stop was at Seethampeta where a king was killed in 2009. I did not get a chance to meet the people here but visited the Government Science College in Srikakulam where the Green Mercy team had preserved the specimen in formalin. I had hoped to collect a sample from this for DNA analysis. And this meant I needed some formalin. Our look out for this chemical turned out to be one hilarious and memorable event that day. We had already checked more than eight pharmaceuticals in town and were turned down saying they did not have any such ‘ointment’ or ‘tonic’! We finally came to ‘Venu’s Surgical’ a well stocked pharmaceutical in town. I waited in the car while KLN Murthy (a MSc graduate with good knowledge about the natural history of the place who joined me on this trip along with Mr.Ramanamurthy) approached them. We were lucky that they stocked it but being a restricted drug they refused to sell it over the counter. They brushed Murthy off and remained glued to the TV watching ‘Secrets of the King Cobra’ translated in Telugu! Our man, Murthy immediately asked if they would sell him the chemical if he introduced the person in that documentary (‘Me’) to them. They obviously thought this guy was crazy and agreed. He then asked me to come over. Totally unaware I went ahead and then saw what the term ‘jaw drop’ meant! Not only were they shocked, thrilled and excited to talk to me they happily sold us the formalin that night. A memorable incident which will stay with us all our lives. The king at the college looked quite big and I felt his head was much bigger than that of an average sized king found in Agumbe. I was not lucky enough to see a live one during this visit. Until now we believed that king cobras preferred areas with heavy rainfall and high humidity but this visit changed this perception altogether. It would be very interesting to study how kings survive under these dry climatic conditions and in shrub forests. Before leaving, I met Mr. Thayoub, Deputy Conservator Forests, a very courteous and enthusiastic gentleman. Looking at the enthusiasm of the forest department, people and with support from NGOs like Green Mercy, we are very keen to initiate projects in the coming year. In India, King Cobras are found in the Western Ghats, Orissa, a small stretch of Andhra Pradesh, the North Eastern States and the Andamans. Since our focus so far has been on king cobras of the Western Ghats (primarily in Agumbe), we have very little knowledge of their counterparts in rest of the country. This year we decided it was time to set foot beyond Agumbe and tread on the trail of these kings. Our first step was a visit to Thrissur, Kerala after a frantic call from Dr.Nameer, Asst.Professor, Center for Wildlife Studies. 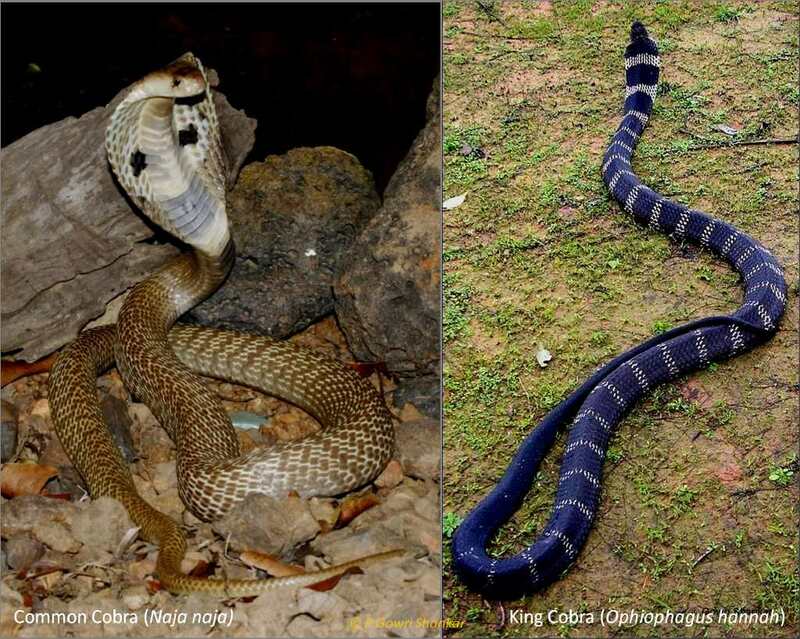 Here, three king cobras were caught back to back and a fourth one was spotted in the same house due to which the family had abandoned their home and was staying in their neighbour’s house. Interacting with the owners at Paramala village...where the kings came calling! Such intrusion was certainly not welcome and though they had initially supported the rescue of the former three, they were now on the verge of killing the fourth. Education is the key to reach out and open minds. 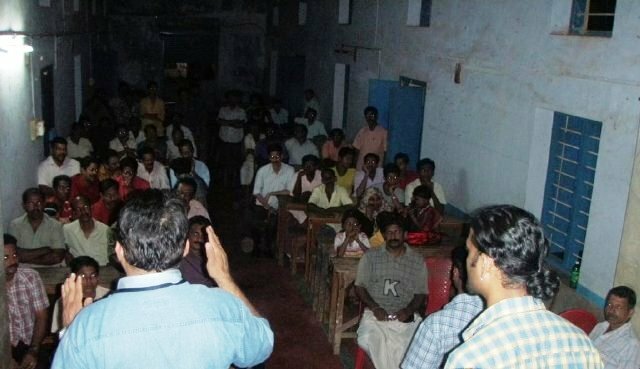 With Dr.Nameer’s help I was able to address students at the Forestry College and villagers. I see good potential for long term studies on king cobras and feel that urgent measures to conserve these serpents are needed. As I write this, I am on the second leg of my journey on the king’s trail. 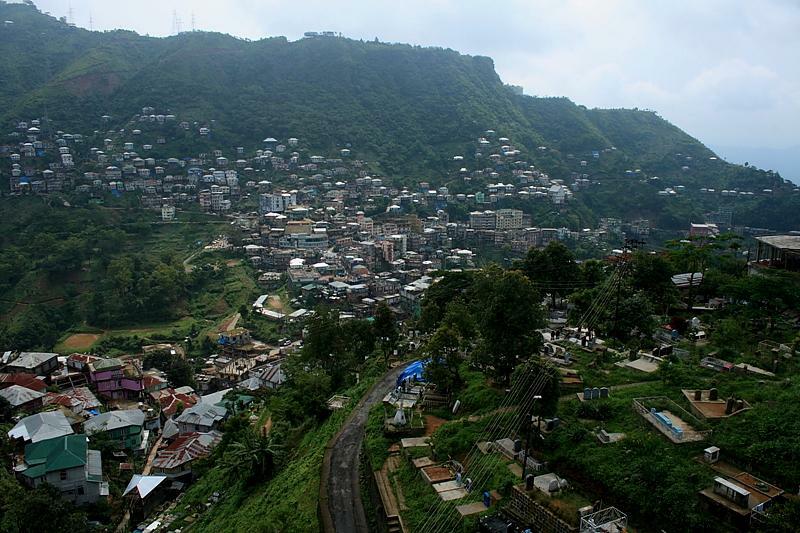 I am at Mizoram and am humbled with the hospitality that I have been receiving. The North Eastern states always seemed very mysterious and this visit is a dream come true! Thanks to HT, Asst. Professor Mizoram University and Hrima, a businessman who enticed us with news about kings (How could anyone sit quiet after hearing of people spotting 10 king cobra nests in one year!!! ? ) from this part of the country for over a year that pushed Rom and me beyond Agumbe. An invitation from the Mizo FD was most welcome and set the tone for this trip. Mr. Eanga, DCF extended a warm welcome. Though the place reminded me of Agumbe in many ways I was at once awed and amused to see buildings standing on cliffs. Most structures are on stilts including parking platforms with a Maruthi car in every home. Considering narrow roads and the terrain, the monopoly seemed justified. Most goods were imported from other states hence even a simple Hawaii (flip flops) slippers cost more than Rs.300 (while we could get them for as cheap as Rs.30 in Bangalore!) Fashion consciousness among all ages is so matured and far reaching compared to other cities I have been to. The level of literacy is good (literacy rate 91.85 %) and most people speak English. It was interesting to see the script for Mizo was English. With hardly any agricultural activities, trade and business are their primary occupation. Christianity is the predominant religion which is probably also one of the reasons why snakes are not tolerated by people. Sadly most streams are polluted severely and without doubt adversely affect various life forms downstream. King Cobras are considered common snakes here (just like cobras and rat snakes in Karnataka). After seeing the kings being revered and treated as ‘KINGS’ down south, to consider them just ‘ordinary’ and like any other serpent was a little discomforting to me. 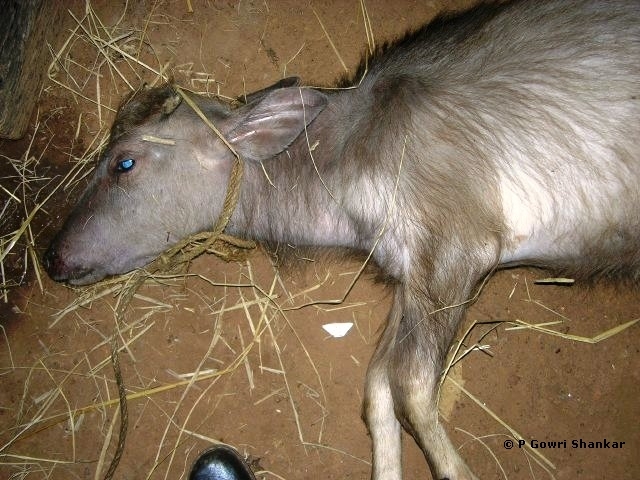 They are often found within city limits and mostly killed on sight. Though a small bunch of people like HT, Hrima and their teams are trying hard to push people to call for rescue, very few heed. Another striking contrast is, in Agumbe people love to watch rescue operations and would probably even be happy to witness the drama if I were to get bitten, but here it seemed people preferred to watch the snake being killed than it being rescued. This calls for a big attitude change, which I am confident will happen if only we could channel the energies and passion of the many young people to create awareness and sensitivity. Undoubtedly serious efforts are needed if we are to learn and conserve these magnificent serpents. With help from the forest departments, NGOS, passionate young reptile enthusiasts we are keen on starting and helping in initiating projects along similar lines of Agumbe. The small team here is already on the right path of rescuing king cobras, educating people, protecting nests and releasing hatchings back to wild. Doing the same on wider scale and using scientific methods will go a long way in filling in for the dearth of information from this part of the country. Though radio telemetry studies (similar to that in Agumbe) is a possibility it would be highly challenging and tricky to follow kings on these steep terrains. 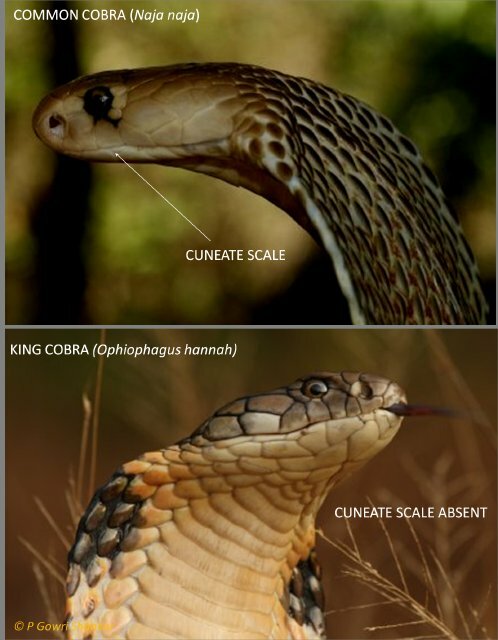 Studies of king cobra breeding biology, monitoring nests, hatchings and collecting rescue data would provide a door way in understanding king cobras of the north eastern states. After this visit I feel Mizoram is indeed a great place to study king cobras. With its ‘commonness’, peoples attitude and hilly terrain it is a different ball game altogether but nevertheless an opportunity one should not miss. Filling in the visitor book....checkout its size! The next leg of my journey takes me to Andhra Pradesh where I will visit different places in the Eastern Ghats where king cobras have been sighted and sadly killed. This being a totally different terrain I am sure it is going to throw up many surprises and get me on the edge to explore the lives of these king cobras too. Can’t wait!!! It is that time of the year again, when one of the most interesting events in nature unfurls in the Western Ghats. I am talking about female king cobras building their nests. As I write this, these snakes have either zeroed in on the location or are eagerly looking out for one right now! King cobra breeding season starts from early February when males seek females who leave their scent (pheromones) behind. Most often more than one male vies for a female resulting in male combat and the triumphant male gets to mate. Courtship lasts anywhere between 5 minutes to 2 hours and continues for days during which they mate multiple times. In 2007 I observed pairing for up to 30 days. After this the male leaves and the gravid female moves in search for a place to build her nest. Males do not play any role in building or guarding the nest. Typically females are ready to lay eggs by the last week of April. For the five years that I have been studying king cobras at Agumbe I have seen sixteen nests and most of them were found between 22nd and 26th of April (which means this week!). I was lucky enough to observe four females in action. Females typically select a slope close to a tree with adequate shade. Considering Agumbe receives more than 8000mm of rainfall annually, this selection makes sense as, a slope guarantees the flow down of rain water preventing any stagnation, the buttress ensures a strong base and the shade ensures regulation of sunlight and decelerates rain drops before falling on the nest. It is not until one appreciates how a limbless creature can build a well engineered nest that one realizes how our hands destroy natures wonders so unmindfully. 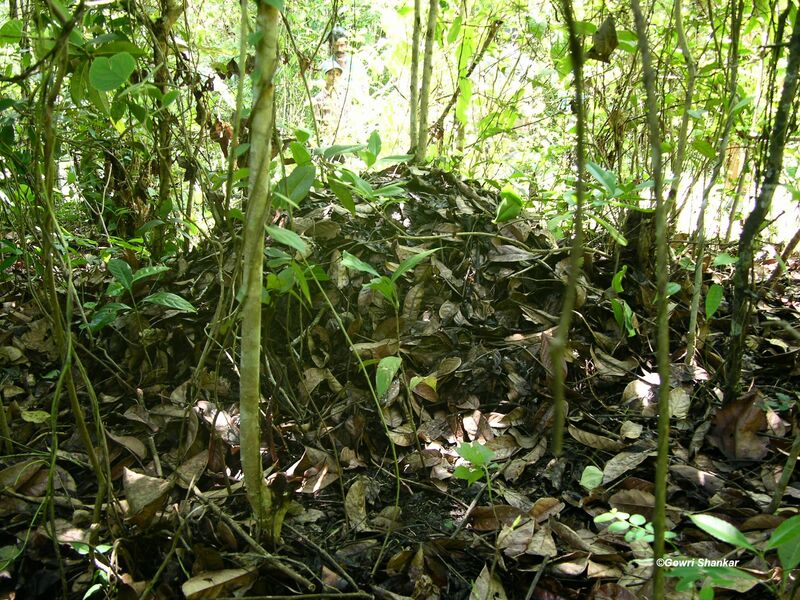 The female gathers leaf litter (from a radius of 3-5m) in tight coils and slowly but steadily deposits them together. She repeatedly moves into it to tighten and pack the leaves firmly. Once the nest is around 30cm tall and 3feet wide she moves in to lay her eggs. 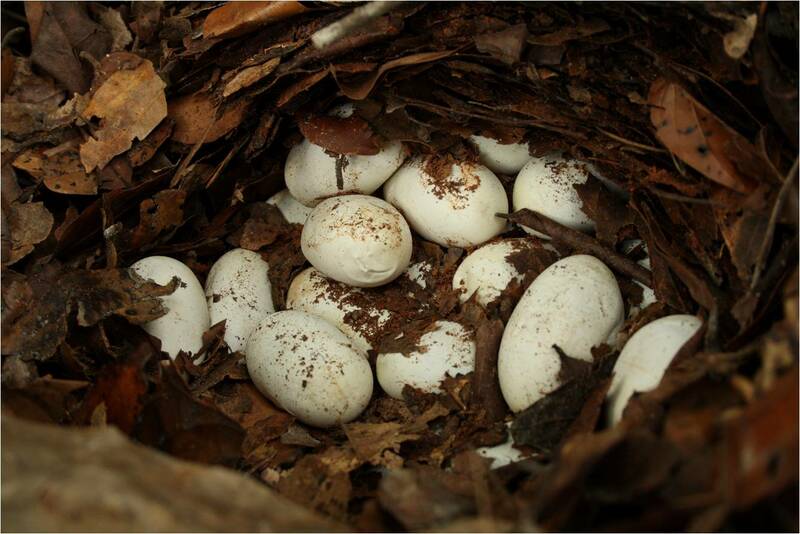 In nests observed around Agumbe, the clutch size varies from 23 to 43 eggs. The female then comes out and continues to build till the nest is about 4 feet tall. She generally stays on the nest and guards it for 12- 15 days. In one case in 2008 the female was present on the nest till the 27th of May, which is the longest record we have observed around Agumbe. During this entire nesting period the females rarely feed. Incubation period varies between 90 to 113 days; incubation temperature varies between 24-28 C and humidity between 55-90%. 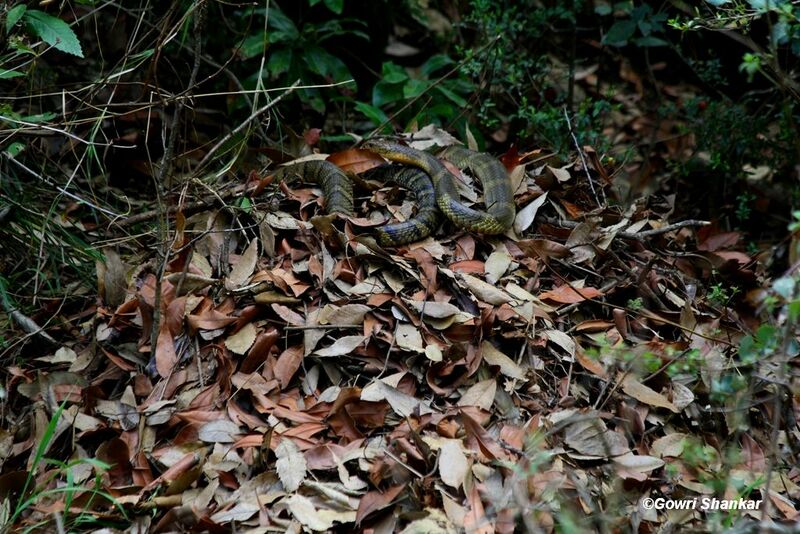 The first time I witnessed a king cobra on a nest was at Coorg (informed by Snake Shyam from Mysore). As always the inherent curiosity of humans had gotten the better of them and the nest lay disturbed. It was heart wrenching to see the female painstakingly working to cover the nest with the scattered leaf litter to protect the eggs from the downpour. Though people revere king cobras in the Malnad region of the Western Ghats they certainly do not favor a king cobra nest with 40 eggs anywhere close to their homes. Hence they prefer shooing the female away, or disturb the nests and some go to the extremes of burning the nests down. Unprecedented developmental activities leading to dwindling habitats is already impacting the survival of this species and if entire nests are burned down it is hard to imagine what we stand to lose. 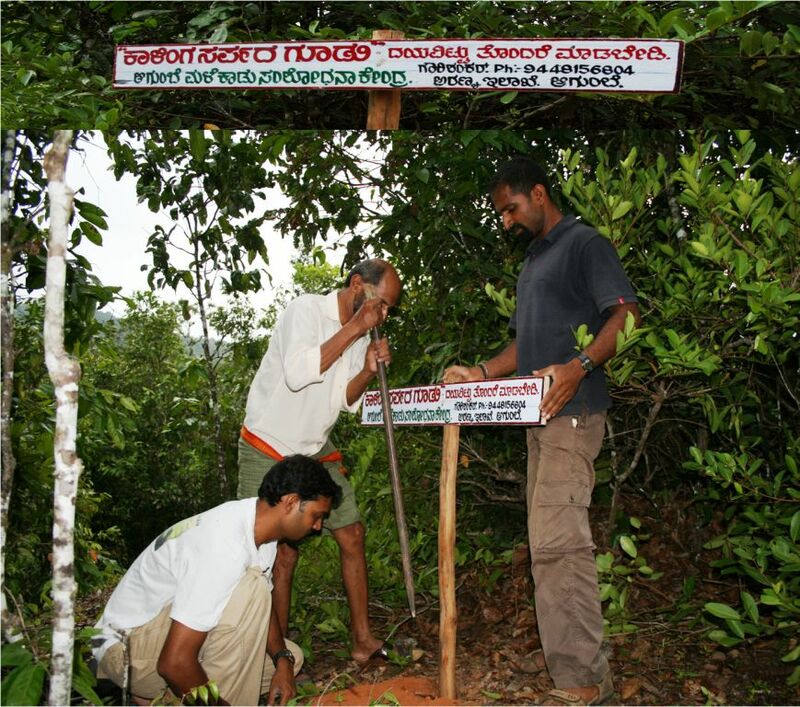 At the Agumbe Rainforest Research Station we embarked on the study of wild king cobras and their habitats. 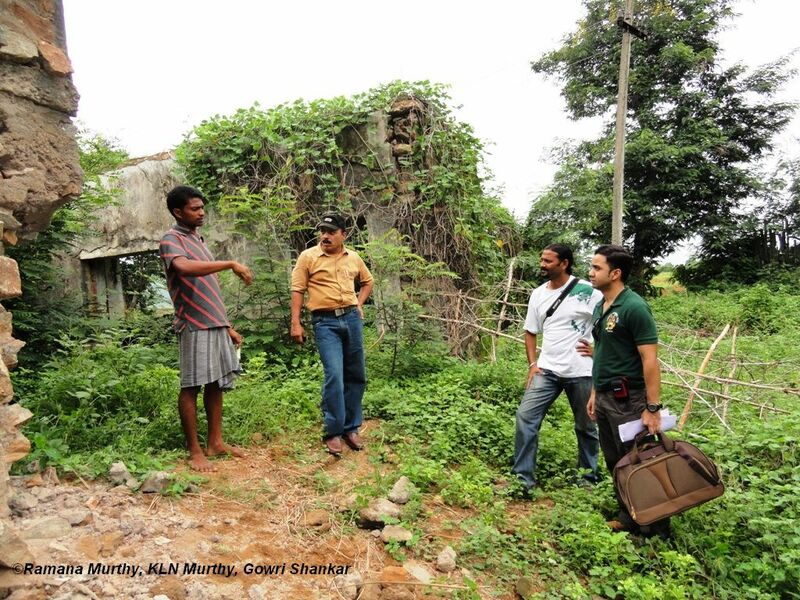 Over these years we have monitored several nests and involved local students who are the custodians of these forests. This community based research approach has been a success and we have released over 400 hatchlings back to wild, with a success rate of 98%. Now one needs to keep in mind that typically in reptiles out of every clutch only one or two reach adult hood. 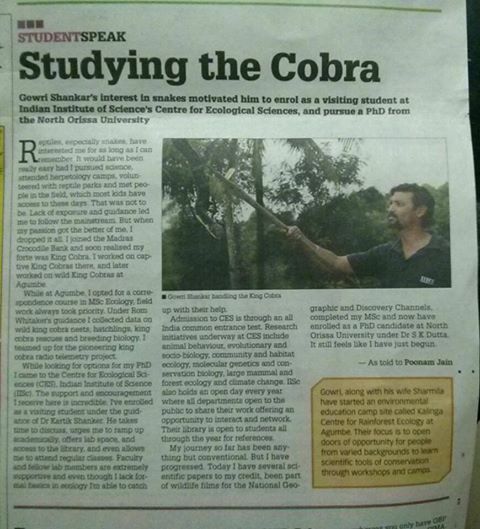 Apart from Agumbe we are now networking with other states where king cobras are found to study and conserve them. In 2009 I visited Uttarakhand and monitored a nest along with Manish Rai who is doing remarkable work with king cobras there. 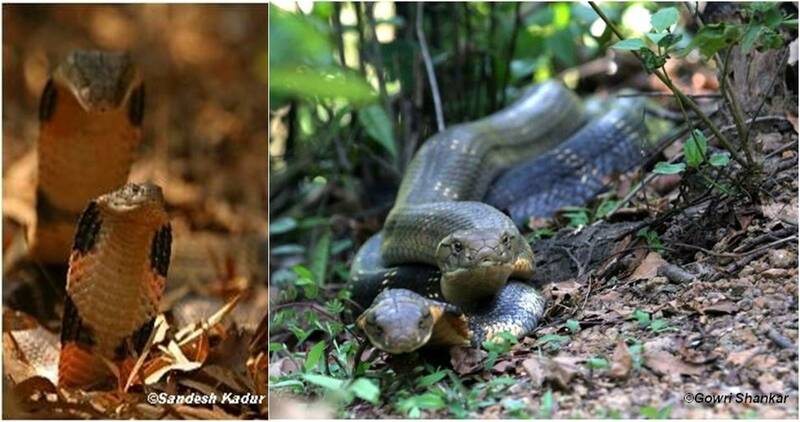 These king cobras build their nests in June and females stay on the nest for longer periods as compared to their counterparts in the Western Ghats. This year I visited Thrissur, Kerala and met Dr.Nameer, Professor at the College of Forestry with whom we hope to tie up to monitor nests this year. In the coming months I will be visiting Andhra Pradesh, Mizoram and a few North Eastern states to unravel the secrets hidden in their folds. PS: Watch out for the post on hatching …..When it is time!